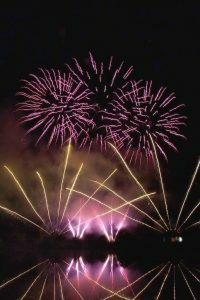 Every Vulcan Firework display is breathtakingly unique, crafted to the individual’s ideas, event, venue, budget and audience. The attention to detail shown by our display design team, backed up by experienced firing crews, will ensure guests, spectators and sponsors are guaranteed a truly special and memorable experience. 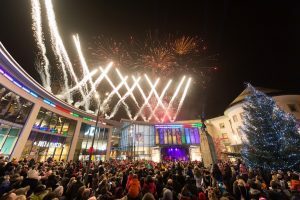 With over twenty five years experience of delivering exquisite firework displays, we have developed many of our own unique methods for producing awe inspiring shows. We are proud to be innovators when it comes to choreographing fireworks with live music. We appreciate the variable dynamics involved with live music, therefore we design the display to the music score and fire it live with the musicians. The combination of specialist timing techniques and live firing results in impeccable accuracy. Vulcan produces displays for a variety of prestigious locations such as: stately homes, heritage sites, National Trust properties and town centres. We can fire from rooftops, buildings and other fixed structures. Other regular sites include schools, sports clubs, recreation grounds and parks. We have experience in producing stunning displays for public, corporate and private events. Along with the “conventional” fireworks display, we are delighted to be able to provide aquatic effects (fireworks on water), daylight displays and indoor pyrotechnics (close proximity). We also offer a reduced-noise display for sensitive sites or audiences. We are proud to be one of the country’s leading pyro-musical display companies. Many of our displays are carefully synchronised to live music programmes or recorded pieces, with fireworks carefully chosen to enhance and complement, rather than compete with the music. We are proud of the unique service that we provide and hope that you enjoy browsing our site. Please feel free to get in touch with any questions, quotation requests or for any further information.